Last week we were delighted to help out our local Boys & Girls Club with their first annual Be Grate-ful Gala Auction at the Eugene Country Club. The mystical, magical evening included a performance by Ballet Fantastique and we brought our creative mojo to the floral designs. 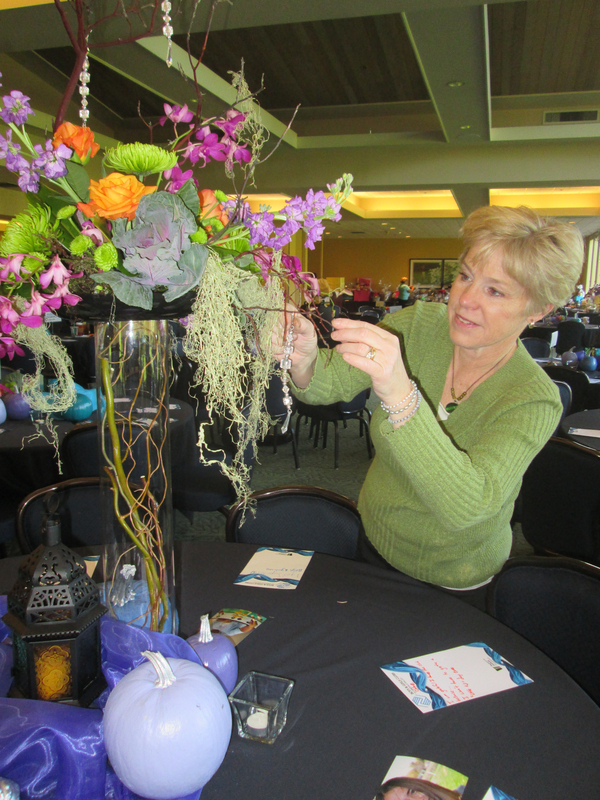 Purple, orange and green flowers were accented with manzanita branches and mosses with hanging crystals. 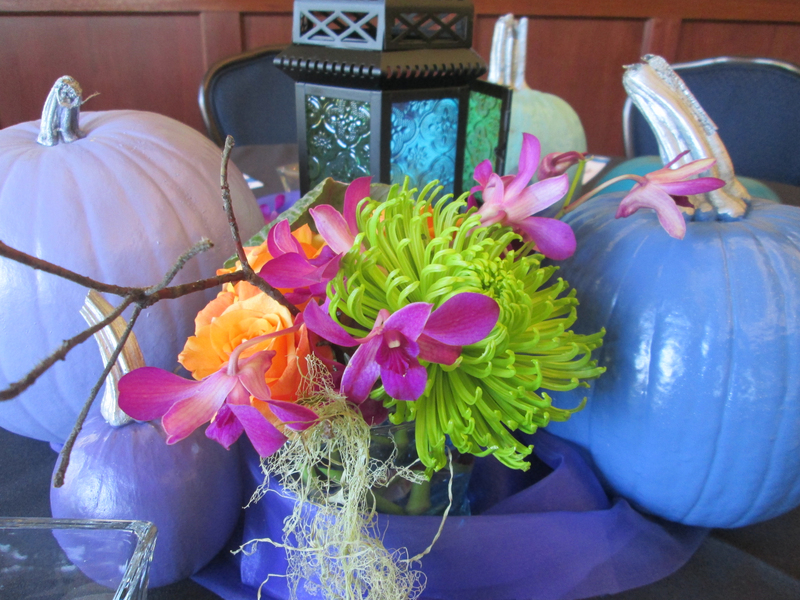 Each table was set with painted pumpkins and a gypsy-style lantern in addition to flowers. The Boys & Girls Club is an incredible organization that is dedicated to providing a safe and nurturing environment for kids in the critical after-school hours. They provide education support, physical education and lots of opportunity for counseling and mentoring. As a working mother myself I know that it can be challenging to find somewhere for the kiddos to go when I need to be at work. Thankfully the 11 month old can still be strapped to my person in a pinch. For parents who have school age kids, though, there are those critical hours of the day after school gets out but before parents are home from work. This is where Boys & Girls Club steps in. For a real difference here in our community the team at the Boys & Girls Club over at Westmoreland truly changes lives. I stopped by there to pick up some items for the event and saw happy, polite kids who clearly flourished in an environment of safety and love. Want to learn more about the Boys & Girls Club here in Eugene or see how you can help make a difference? Visit their page here or Like them on Facebook!